It's cherry picking time, a time I have a love/hate relationship with. Love picking them, hate pitting them, love eating them. The picked cherries hog all the space in the refrigerator, pitting makes a sticky mess on the counters, and gets cherry juice on the lenses of my glasses, not to mention the clothing stains. But it's all worth it, since I continue to do this year after year. The best looking ones are always the ones you can't reach, it's my donation to the birds as I'm not getting a bigger ladder. That looks SO good! 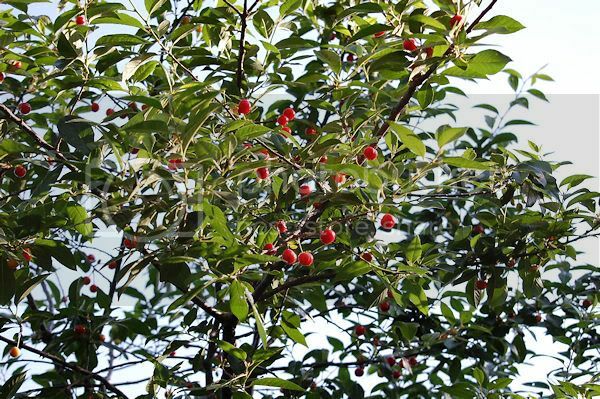 I have a cherry tree that is struggling, and the few cherries it makes are stolen by the birds. What I would do for a bowl full of fresh cherries! You made me hungery. Looks wonderful. Oooh yum, those deserts look sooo good! 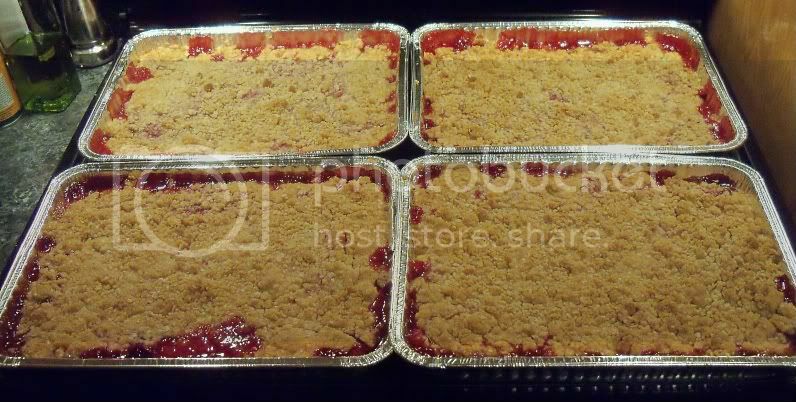 We have two cherry trees on the grounds where I work and I always make time to pick, pit and and bake. I'd better go check em tomorrow for fruit!